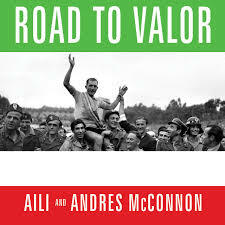 “Road to Valor” is the inspiring, against-the-odds story of Gino Bartali, the cyclist who made the greatest comeback in Tour de France history and secretly aided the Italian resistance during World War II. Thank you to Richard Rappaport for generously sponsoring this program! Thank you to Wells Fargo for sponsoring The FHM’s 2019 Genocide and Human Rights Awareness (GHRAM) Programs.